MENTMORE pens were made in Hackney, East London, UK, between the 1920's and the mid 1950's. especially between 1946 and the mid 1950's. and they, themselves, also used the brand name of Spot. One of the rarer solid colour versions of the AUTO-FLOW - different & very attractive ! you won't find another one like this ! Really unusual - and old !! on this page - an antique ! manufacturer - any help/advice about this would be very welcome. 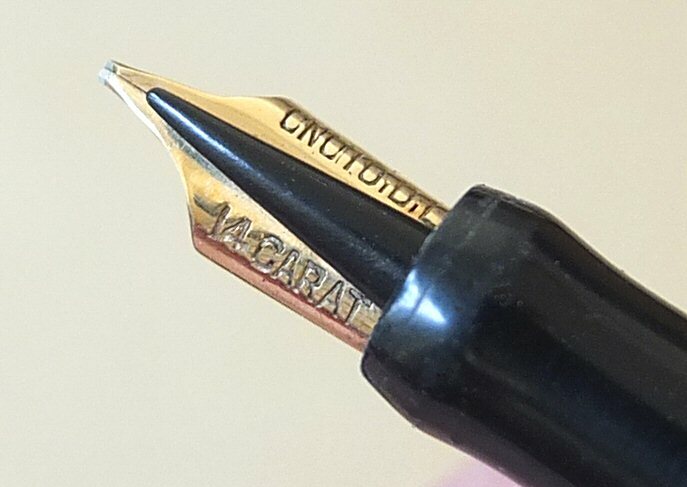 original MEDIUM nib, with under -and-over feed. Guaranteed by Boots Stationery Department. Papers of Farringdon, in the City of London. also registered at the same Farringdon address. and are now scarce and very desirable collector's items. as well as being attractive items both to collect and use. 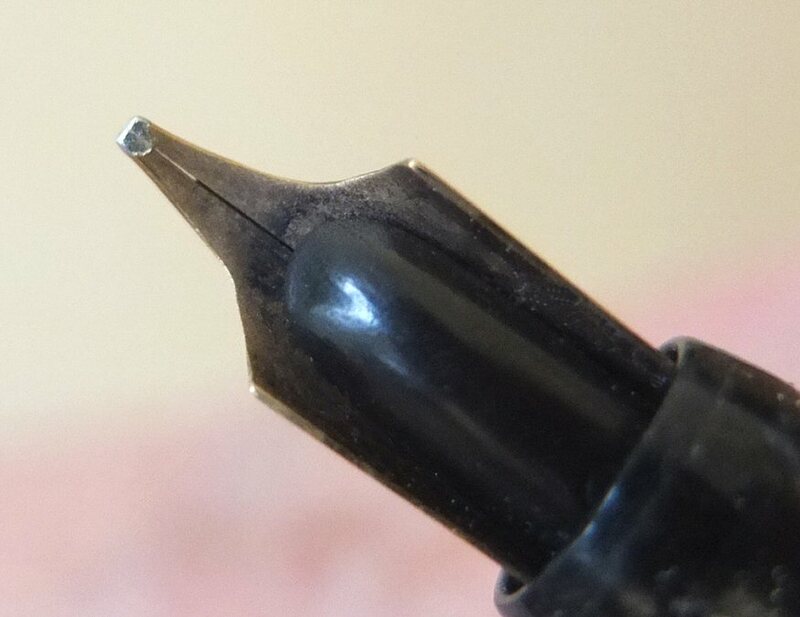 Pen: slightestdeformation in the shape of the barrel.